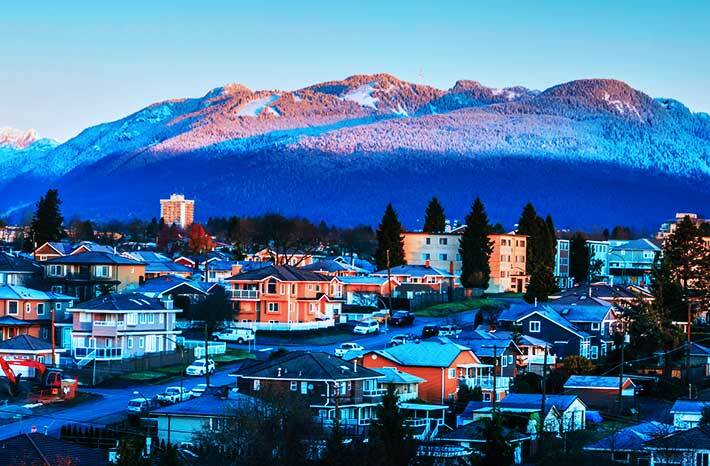 Burnaby, British Columbia is the hometown of Michael J. Fox, Michael Bublé, and other Canadian greats. It’s also home to more than 53,000 businesses that employ thousands of other Canadians. The right business insurance coverage can help these businesses gain protection from costly risks and expensive damages. Federated Insurance is committed to protecting Burnaby-based businesses by offering comprehensive business insurance coverage. Why do you need insurance for your Burnaby-based business? Being proactive is the best way to protect your business from costly damages. With that in mind, it’s important to be prepared in case sudden setbacks cause a financial impact on your business. Could your business independently afford facing a costly lawsuit or repairing unexpected damages from vandalism? If a severe thunderstorm damages your retail storefront, would you be able to cover the repair costs? That’s where Burnaby business insurance comes in. A comprehensive business insurance policy can help your business recover from sudden setbacks. As a fellow business in your area, we understand what it takes to run a successful business in Burnaby. Whether you run a retail store in Metrotown, a restaurant in Burnaby Heights, or any other type of specialized business, we can provide you with a business insurance solution that’s catered specifically to you. What kind of business insurance do you need? At Federated Insurance, our risk management knowledge and industry expertise can help you build a comprehensive business insurance policy that’s a proper fit for your business. Information such as what specialized work your business does, what equipment you use, and how much revenue you make are all used to determine which insurance coverages can help you protect your business. Here are just a few of the coverages Federated Insurance can offer to protect Burnaby-based businesses like yours. Commercial general liability insurance (or CGL for short), is designed to help protect business owners if they are found legally liable for bodily injuries or for property damage to a third party. For example, if a customer slips and falls in your restaurant, your CGL policy may help cover the legal costs you incur if the customer files a lawsuit against your business. If you have a store, an office, or any other type of commercial space, commercial property insurance can help provide protection against sudden setbacks. Fires, storms, vandalism, and other unexpected events can quickly do damage to your property. Commercial property insurance can help you cover repair and replacement costs you need for your property. Even if you don’t own a conventional business space, this insurance coverage can help cover your business’ contents, including equipment, inventory, furniture, and other fixtures. A sudden disaster could force you to temporarily close your business for extensive repairs. Without a steady source of income during this time, your ongoing bills could pile up. That’s why business interruption insurance is important. When a covered peril disrupts your business operations, business interruption insurance will help cover lost business income, regular business expenses, and repair costs needed to get your business back up and running again. For example, if you run a woodworking shop, and burglars break in and steal your equipment, business interruption insurance can help cover your business expenses and costs needed to replace your stolen equipment. After being diagnosed with a critical illness, money is the last thing you want to worry about while you recover. Critical illness coverage provides a tax-free lump sum cash payment if you find yourself facing this situation. It can be the financial cushion you need to help ease the financial worry during your time of illness. Didn’t see the coverage you were looking for? Cyber risk insurance includes costs coverage for data recovery, customer breach communications and e-commerce threats. We offer equipment coverage, as well as rental reimbursement, which covers the cost of renting regular and computerized equipment if yours is damaged or breaks down. This coverage also includes a stated value for production equipment clause, which provides the cost of replacement based on the scheduled value of the production equipment. Whether you have just one company vehicle or a whole fleet, commercial auto insurance makes sure you’re protected should you be in an accident. It also provides coverage if there is any damage to a third party. Why should you choose Federated Insurance to protect your business in Burnaby? Our customers have unlimited telephone access to our team of Risk Service specialists. They are available to provide guidance and answer questions about the risks your business may face and how to prevent future losses. With our Trauma Assist service, owners and employees can receive assistance to help them cope with the emotional effects of a covered loss. Dealing with legal matters surrounding your business can be overwhelming and confusing. That’s why Legal Assist offers unlimited telephone access to general legal advice to discuss any legal situations your business has to deal with. With over 95 years of experience, Federated Insurance has taken the time to build strong relationships with leading businesses and committed to them for the long-term. Our customers receive quality one-on-one service while dealing with our dedicated Insurance Specialists. 14,000 businesses trust us with their insurance needs and we’re recommended by over 60 trade associations and buying groups. This means we’re in the perfect position to provide specialized knowledge for specific industries. Learn more about Federated Insurance today! We’re Federated Insurance, a 100% Canadian-owned direct writing commercial insurance specialist that has been serving Canadian businesses of all sizes for over 95 years. To avoid disruption in your insurance coverage in the event of a possible Canada Post strike, we ask that you pay your premium using online banking. To discuss alternate payment methods please contact your Commercial Insurance Specialist or call 1-844-628-6800. For inquiries about any in-progress claims, please contact the adjuster handling your claim or call 1-855-616-6262. For all other questions please contact us at 1-844-628-6800. Terms, conditions and exclusions apply, see policy for details. The services described on this website are not insurance policies and not all policies are eligible. Federated Insurance does not sell surety, personal, legal expense, life or health insurance products. All references to these lines of products are for referrals to other insurers. For more information on our services and for information on our insurers please see Terms and Conditions. What are three key risks for grocery retailers? What retailer insurance should businesses consider? How can tire businesses mitigate common risks?